Oh Hey There! 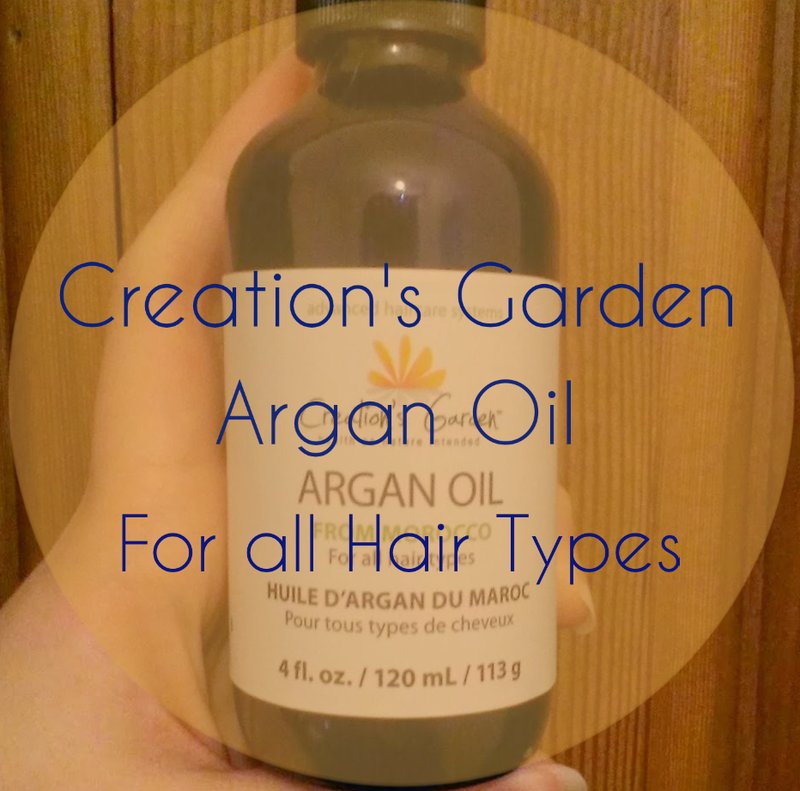 : Pure Argan Oil - Does it Work for Hair? I have heard about a lot of products containing Argan Oil the past few years and have seen mixed reviews about products containing the oil but I have not seen many from people who have used the 'pure' oil themselves. Having tried products that claimed to be a 'revolution in haircare' due to their, probably minimal, inclusion of Argan Oil. Sorry if it is a bit long but I wanted to try and solve the question of whether Argan Oil is worth the hype/price. Argan oil is an oil produced from the kernels of the Argan tree, endemic to Morocco. It is said to contain vitamin E, essential fatty acid and antioxidants and has been used in Morrocco for centuries for its nourishing properties for both the hair and skin. I got from mine from TKmaxx very discounted as there was no way I was paying £20 and up a lot of the brands such as the Moroccan Oil can set you back. Mine was no more than around £6 or £7 for 120ml. It is from a brand called 'Creation's Garden' which I have not heard of before but as it is simply the oil I don't see brand as an issue. The very first thing I noticed about the oil was that it smelt almost cola which is something I found quite pleasant. The second thing I noticed was how light it felt to the touch. Most oil, such as olive or coconut, I would describe as being quite heavy but this felt like it would sink straight into the skin. So far so good. Now when it came to the actual application to the hair I tried a few methods. I did a couple of times apply directly to the hair as I assume that it would be most beneficial rather than mixing with other things such as other oils or conditions, but I thought that considering the price of the oil this seems very unsustainable and unless one of the ingredients of the oil is pure magic, somewhat wasteful and something I could just never afford to do. The conditioner I mixed the oil with was from the Tresemme Naturals collection. I tried it with about a tbsp of oil (which I think it very generous) and about a cup of conditioner. I Applied to my hair after showering and left on as a mask for a few hours. When I washed the mask of my hair I allowed it to air dry and applied no other products. My hair was definitely soft and felt nice after the application but I didn't really notice any great benefit over other oils. One of the things I like about oils is the noticeable difference straight away. My hair felt soft and all and perhaps there was a bit of extra shine but considering some companies claims about its drastic frizz reduction I was left somewhat unimpressed. I thought that maybe it would be beneficial to try a much smaller amount (usually around 10 drops or so) into my conditioner and maybe over time I would see an improvement. I noticed no real improvement that I would not have got just from conditioning masks. I think I tried this for around 6 weeks. I didn't use it every time I washed my hair but I used it at least 2 times a week and I think that should be more than enough. I did apply the Argan Oil alone twice as a mask and I tried a few times to use it to smooth away frizz, as I would a serum, but was still unimpressed. As with all oils it was a bit tricky to wash out when I used it as a mask but I expected no less. For using it as a frizz serum, sure, it worked okay, but I noticed a lot of build up and it worked no better for me than any frizz serum I could get from Boots for a fifth of the price. Overall I was unimpressed. There was nothing wrong with the Argan Oil and perhaps it is just my hair type, but I found no benefits that I would not get from the much cheaper Coconut Oil, which is something that I use a lot and have thus far found no better alternative. My advice, go to your local health food store or online and buy a tub of Virgin Cold Pressed Coconut Oil. I bought mine from Amazon for £8.50 for 500ml. I usually use about a tbsp the same was I used the Argan Oil conditioner mix. Coconut Oil comes as a solid but melts at room temp so I usually melt mine by placing it in a cup and placing that cup in a shallow sink full of hot water whilst I shower. Have you tried Argan Oil yet? You really don't like argan oil! I was fortunate enough to travel to Morocco last year, and while I was there I picked up like three jars lol. The one thing I don't like about argan oil (and I'll admit) is that it kind of...stinks. I mix it with castor & coconut oil to pre-poo my hair sometimes. Other times (but not often), I'll use it by itself. It works wonders on my skin. I will rub argan oil on my hands and around my finger tips and it helps my nails grow. I also use it to moisturize my face after washing. It's very lightweight and I don't have to use much to get it to penetrate my skin. My friends and family tell me that it makes my skin glow LOL. I would suggest maybe playing around with the rest of your argan oil to see how it works best for you. I understand that it's kind of expensive, which is totally annoying. This was a great and well informed post! Thanks so much! I have visited your blog before actually its great! :) I was actually thinking about giving Argan Oil another go recently. I used some a couple of days ago and it seemed to be better and work like it didn't in the past. 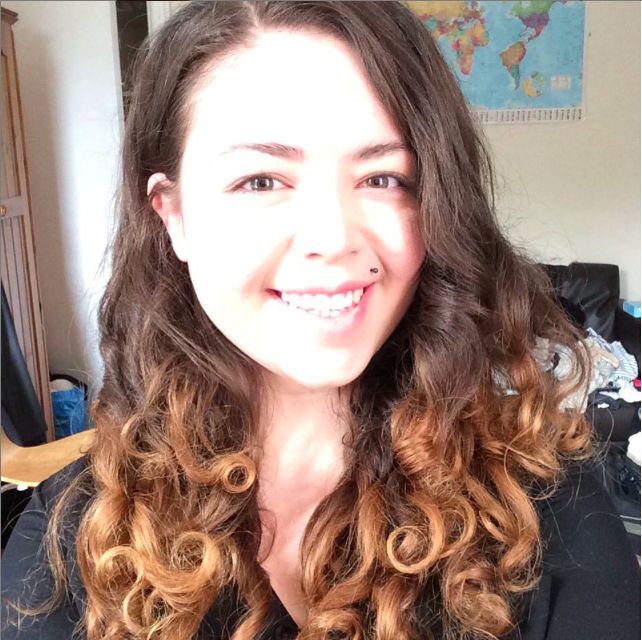 I think possibly when I tried it my hair was right at the beginning of transitioning to curly hair and was maybe just too damaged to show results? I actually love the smell! To me it smells like cola! I used this brand. I used most of it in my hair our of habit, but after doing some research about argan oil--what it should smell like, look like, how it should interact with my hair--I realized that this brand is a poor representation of argan oil. It's a scam as far as I'm concerned. It's like they diluted it with some other type of oil that has just enough benefits to pass the product off as a 'miracle product'. In reality, I would not be surprised if I found out this was altered coconut oil or something. Once I bought 'real' argan oil, I was shocked at the difference. It soaks right into my hair and makes my damaged locks feel like heaven. Can't believe this stupid company robbed me of that all these months. Argan oil is EXPENSIVE I also found. If you can walk into Marshalls and pick a bottle this big up for 12 bucks like I did, it's most likely fake. Thank you for the post! Does anyone have a recommendation for a brand we can trust? I really think that this product is a scam and it is not worth it to buy. For that price and quality, we will better off by using olive oil - It kind of smell like olive oil to me:). I wish I can get Argan Oil from Morocco though:). I think you can trust Holland + Baratts and they do sell argan oil, bought from there, quite expensive about £15 for a samll bottle, you dont need much though so will last a long time.